Spread cream cheese spread evenly on cut sides of bagels. 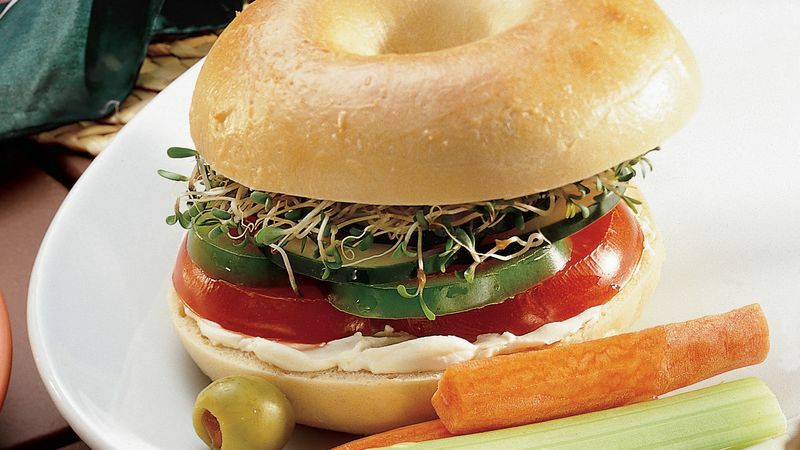 Top bottom halves of bagels with tomato, bell pepper, cucumber and sprouts. Cover with top halves of bagels.